How does IEC61508 and IEC61511 compliance affect you? ESC is pleased to offer Reliability, Availability and Maintainability Studies (RAM studies) to companies requiring an assessment of their system as a way of optimising their system’s operational performance. RAM Studies are used as a way of assessing a production system’s capabilities, both in operation and those still in the design phase. As facilities and plants are being used for longer period of time, a Reliability, Availability and Maintainability Study is able to provide an assessment into the assets life time capabilities and enable businesses to maximise on their return on investment. 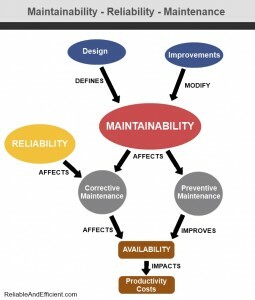 Maintainability Services – Predicting the probability in which a product / system can be repaired following a failure within a specific time frame. With the combination of these three services combines into one study, ESC is able to offer a RAM Study that models the predicted production capabilities of a facility. Alignment of maintenance resources based on the criticality of equipment to production revenue. Produce a record of the RAM Study in the form of a formal report, detailing an overview of the RAM Study, including any assumptions made as well as the findings as part of the study. As well as offering RAM Studies, ESC is also able to additionally offer a Cost Benefit Analysis (CBA) as part of the RAM Study. Our Functional Safety FAQs are a great place to start if you have any questions. If you’d like any further information or would like to talk to one of our consultants please Contact Us via our contact form and we’ll be glad to help. ESC Featured in IC Magazine ESC Featured in IC Magazine with the article 'Competence key to safety solutions'. ESC FS Management System – Independently Certified! ESC has now obtained independent UKAS-accredited certification for Functional Safety Capability in respect of Management of Functional Safety. Engineering Safety Consultants Ltd Passes Achilles’ “UVDB Verify” 2019 Audit Engineering Safety Consultants (ESC) Ltd is pleased to announce that it has recently successfully completed its third Achilles UVDB Verify Audit process.